I feel like I've started every blog post with a countdown recently and telling y'all how many more days I have until I move in. Today's answer is I am leaving for Tuscaloosa tomorrow afternoon after my mom finishes work, and I move in on Friday bright and early at 9 a.m.
Over the four years in high school, I figured out what worked for me, but now I am going to college with very little idea of what I needed. I mainly got the basics, and if I find myself needing something, I can always get it later. I obviously still need to order my textbooks and all that. InkJoy Pens 100 & 300 are my absolute favorite colored pens. I am just using my 300s from last year because they're still good, but I picked up some 100s (not pictured) because while I don't like stick pens all that much, they have a lighter green, which the 300s don't have. 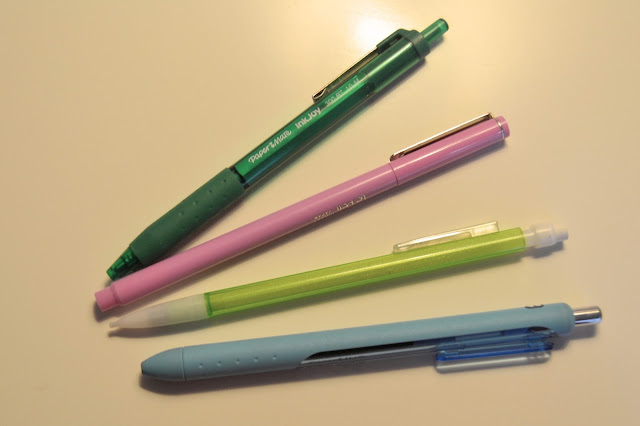 I love using mechanical pencils, and I have been using Bic Mechanical Pencils forever. I love the Sparkle collection because the colors are bright and not boring like other pencils. I am also taking my Le Pens and my Paper Mate InkJoy gel pens because a girl needs options when it comes to pens. When I am not using mechanical pencils, I am using Ticonderoga Pencils. I have an unopened package from the blowout sale when our Office Depot closed. They're my favorite wooden pencils. Office Depot Stellar Notebooks are the best notebooks out there. The rings are sturdier than the ones on Five Star notebooks, and I like the colors a lot more. They are also cheaper than the Five Star notebooks. Since the notebooks I got are weirder colors, I just got white Five Star Folders. Five Star Folders hold up really well. I used on throughout most of high school, and it held up through everything. Since these last forever, I didn't want to ruin them by writing on them. Instead I took an index card wrote the class name and times in the color that matched my notebook. 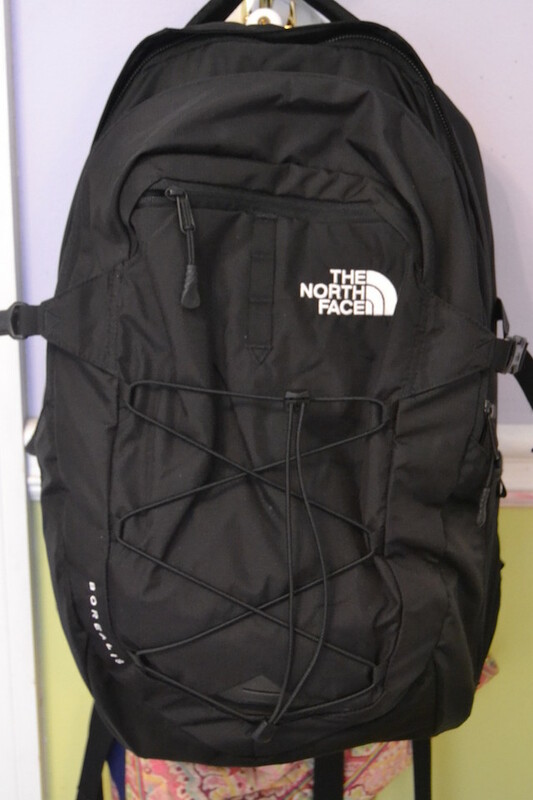 North Face Backpack | I got a new backpack for college! I had a Jansport that I got my sophomore year of high school, and I just didn't like it anymore. It wasn't sturdy enough for me, and I wanted more pockets. I know North Face stuff lasts forever, so I am excited to use it throughout college.